Time travel. Comics. Funk. Jazz. Hiphop. Soul. Disco. Rock. 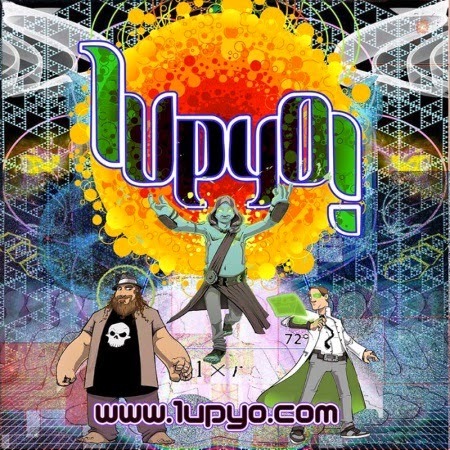 All this and more rolled into one on Bye Time, a sprawling sci-fi concept album by 1UPYO, a band from Richmond, VA plus an assorted array of guest musicians and vocalists. Imagine a huge cauldron and throw in Phish, the Disco Biscuits, Sly and the Family Stone, Dr. Dre, The Flaming Lips, Gong, Can, Steve Miller and The Residents. The result: a spicy, weird and highly enjoyable album about time as the foe and friend of mankind. Plus it is a joy for music geeks to decipher. Forget all the hoopla about a guitar player who supposedly came from the future, this a candy store sort of album, made by a band who outlined a story with a few inconsistencies in the plot, but with a firm grip on their musical prowess. Sit back and enjoy the ride. Bye Time is a self-released album. Buy it from their website.